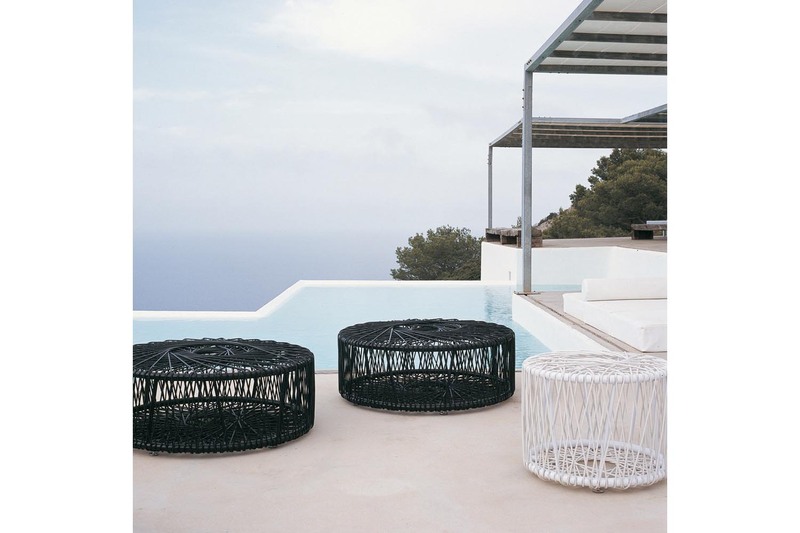 Reel enriches the outdoor collection with a new versatile, casual element - a circular pouf, in three sizes, designed by Atelier Oi. 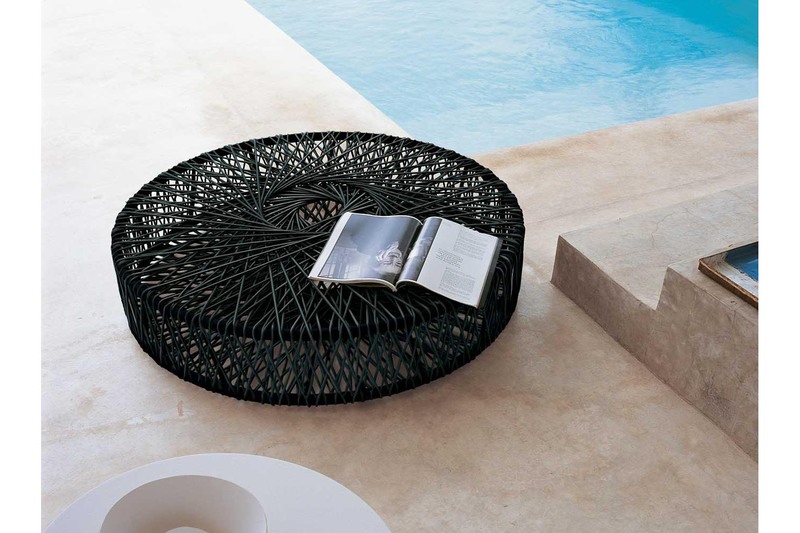 Placed on an aluminium frame, it winds thick black and white polyethylene threads or natural fibre string like a ball. 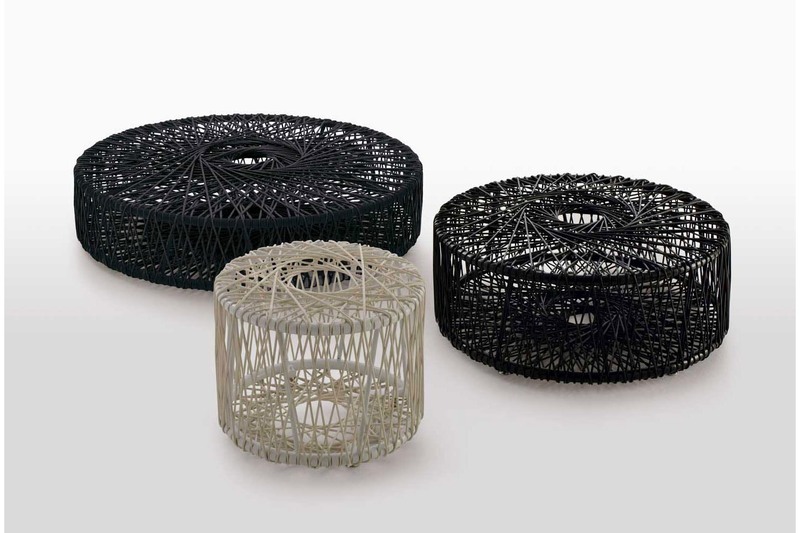 Counter or seat, reel effectively summarises the geometrical complexity and playful spirit of weaves.